Create your own Collection with ease ! Maximum 3 pieces per model. 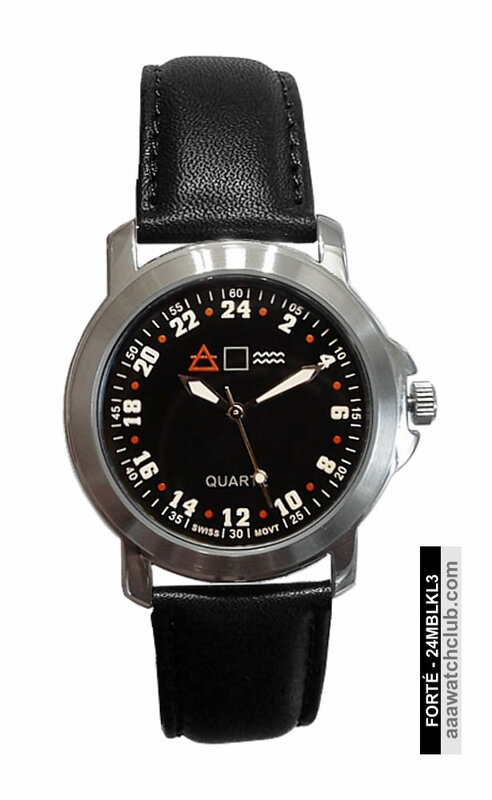 24-hour Watch: Military Time Watches for men. Forté - Exclusive Label. The 3 symbols on the 24 Hour Dial represent the strength of the Military over Air, Land and Sea. 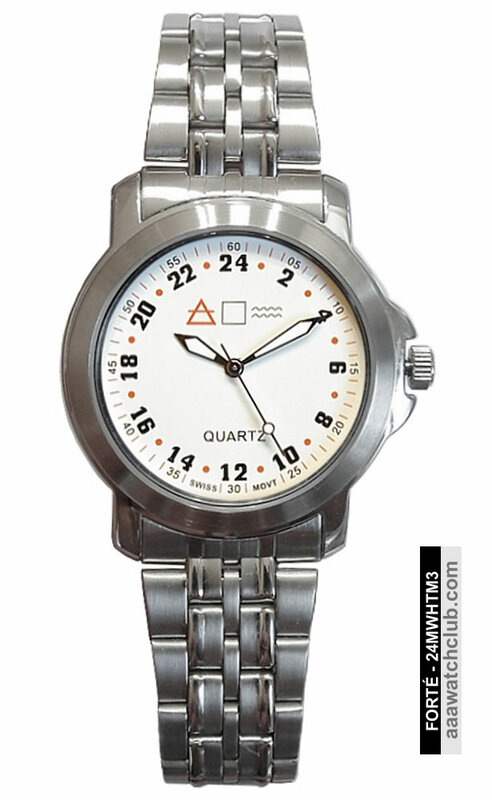 The high-quality Military watch with Swiss movement whose Hour hand go around the dial only once a day. (Regular watches make two (2) rotations around the dial a day) Military Time: Collector Watches - Sets available - his and hers watches. New Models (Series 3) Improvements: For the Stainless Steel Bracelet models -- Wider and Longer Bracelet and the Fold Over Clasp with Push Button provides a secure lock on a post that can only be opened by pushing the two buttons (more secure than the Fold Over Safety Clasp). Series 3 features New Bigger (2 mm) Masculine Case and Dial, a Protected Crown AND 5 ATM (165 Feet) Water Resistant. Wider Cowhide Leather Strap. Your choice of 10 different models for Gents (6 for Ladies). 4 Mens Watches with 12 at the Top! Unique, hard to find and available at VERY reasonable prices. 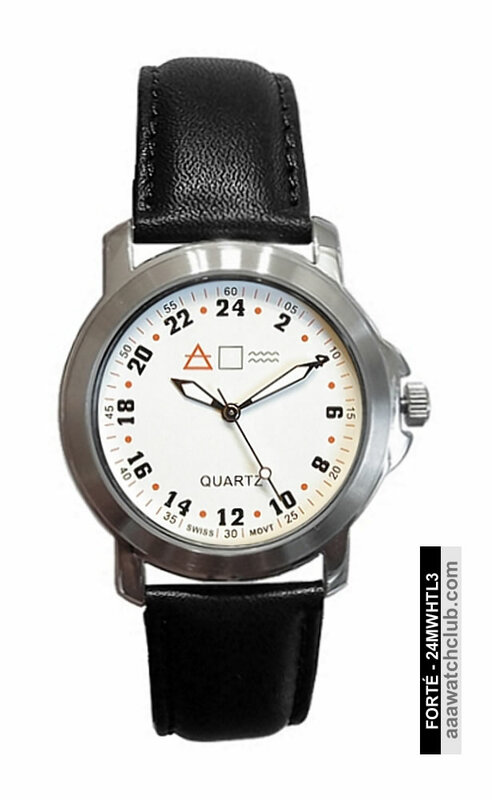 A distinctive and practical 24 hour Military Time display. 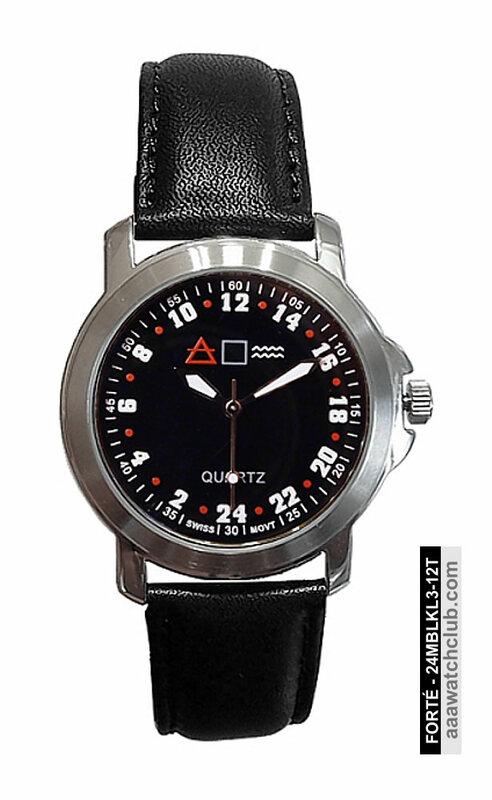 Why a Military Time Watch for men? because... It's Unique and will be Treasured. Highly valued -- not only among Members of the Airforce, Military and Navy. NOTE: If you'd like to be notified once this model becomes available again, drop us an e-mail ! Many Customers have asked for models with White Dials - So they can better read the time. We listened... they are now available - 4 Different Models. 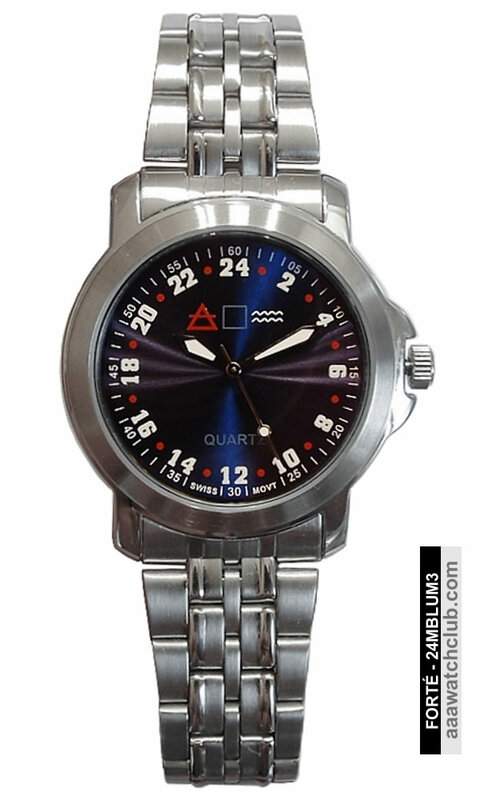 Plus -- New Models (Series 3) with improvements like: 5 ATM (165 Feet) Water Resistant AND Protected Crown for our new series 3 models with Black-, White- and Blue-Sunray Dial. Available with Leather Strap and/or Stainless Steel Bracelet.